Only those who allowed their inner hold on their moral and spiritual selves to subside eventually fell victim to the camp's degenerating influence - while those who made a victory of those experiences turned them into an inner triumph. A prominent Viennese psychiatrist before the war, Viktor Frankl was uniquely able to observe the way that both he and others in Auschwitz coped (or didn't) with the experience. He noticed that it was the men who comforted others and who gave away their last piece of bread who survived the longest - and who offered proof that everything can be taken away from us except the ability to choose our attitude in any given set of circumstances. The sort of person the prisoner became was the result of an inner decision and not of camp influences alone. Only those who allowed their inner hold on their moral and spiritual selves to subside eventually fell victim to the camp's degenerating influence - while those who made a victory of those experiences turned them into an inner triumph. 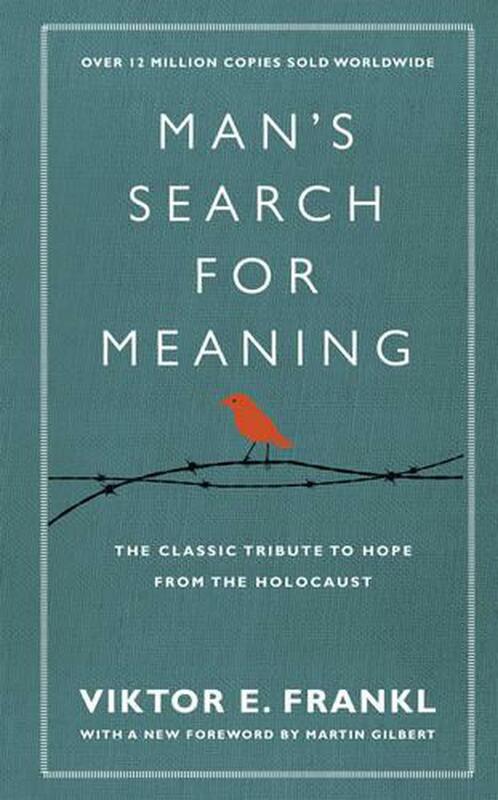 Frankl came to believe man's deepest desire is to search for meaning and purpose.This outstanding work offers us all a way to transcend suffering and find significance in the art of living. Viktor Frankl was born in Vienna in 1905 and was Professor of Neurology and Psychiatry at the University of Vienna Medical School. His wife, father, mother and brother all died in Nazi concentration camps; only he and his sister survived, but he never lost the qualities of compassion, loyalty, undaunted spirit and thirst for life (earning his pilot's licence aged 67). He died in Vienna in 1997.